This guided meditation helps you affirm your willingness to be more like your best self. Relax into a warm & encouraging encounter with your best future self. Each of us has a built-in best self potential. Sort of like caterpillars and butterflies or acorns and oak trees. Sometimes that inner capability includes a particular talent or calling. Other times it’s a capacity for being more kind, generous, funny, loving, etc. Most everyone wants to demonstrate more of that innate positive possibility. Here’s an idea for how to do that. Imagine meeting your future self. Not just any version of future-you, but the person you’d really like to become. What would that be like? Perhaps it could be just the catalyst you need to be more like that version of you. The formula for becoming that best self is simple, but not easy. The main ingredients are thought + action. Those are the basics of all human achievement, good or bad. When we add the power of imagination, intention, and willingness – then we gain the ability to grow toward that person we want to be. Willingness is both a key ingredient and an accountability metric in this process. It’s the bridge between the steps. Willingness bridges thought and imagination. I must be willing to direct my thinking mind into the realm of positive possibilities…aka imagination. Then willingness is the connection from daydreams of imagination toward intention…aka promises I make to myself. And of course willingness to do links intention with action which then produces the outcome. Perhaps a simple personal example will demonstrate. For years I had random thoughts of helping people with their meditation practice. For a long time that was it – random thoughts…aka fantasies. Then I was willing to imagine possibilities. In my mind’s eye I saw myself getting skilled and people benefitting from my meditation offerings. That vision evoked excitement and fear. My willingness to set intentions to learn, practice, and record my meditation tracks kept me going through the emotional ups and downs. Those intentions stepped on the gas pedal of excitement and fear. 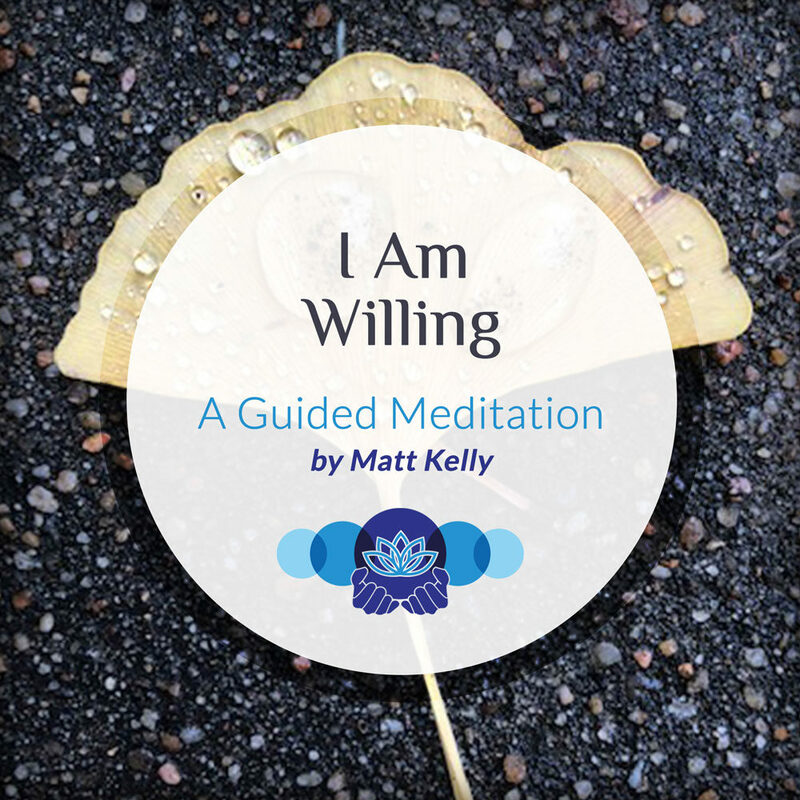 Willingness kept me moving ahead into action – guiding meditations in small groups and recording tracks on my phone. Along the way I liked some of my stuff (more excitement) and didn’t like some (more fear). Willingness and continued action helped me find a studio, sound engineer, and web designer to create www.recoveryourpeace.com. I hope this pokes you a little – in a good way. Right in your willingness spot. Time will tell. That’s the accountability aspect of willingness. I may say I’m willing, but my actions demonstrate it. Check out this guided meditation and let me know if it’s helpful. Thanks for listening.